Stafford Speedway and Call Before You Dig, Inc. (CBYD) for the second year in a row will partner to present the Call 811 Before You Dig Late Model 50. The event scheduled for Friday, August 17th will guarantee $1,811 for the winner and $250 to start. The 50-lap special event will carry a race purse exceeding $10,000. 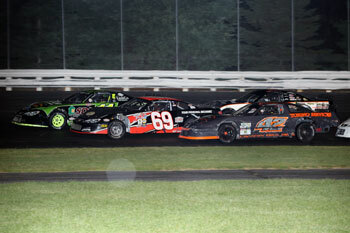 CBYD’s sponsorship of the August 17th CBYD Late Model 50 continues a partnership with Stafford Speedway that dates back to the 2010 season. The $1,811 to win the Late Model 50 is another opportunity to promote 811. The 811 message will have strong presence in the month of August at Stafford. Along with the Late Model 50, the CBYD 811 Challenge, which starts at the NAPA Spring Sizzler, will culminate on Friday August 10th. Call Before You Dig is a state regulated, non-profit organization comprised of all public utilities and municipalities in Connecticut The purpose of CBYD is to function as a statewide, one-call notification system that provides excavators and the general public with the ability to inform multiple owners and operators of underground facilities of proposed excavation, demolition or blasting. Contractors as well as anyone in the general public can use the E-Ticket system found online at www.cbyd.com to set up a location request for any project that involves digging into the ground. The CBYD website offers the opportunity to register for E-Tickets for jobs as well as providing resources such as a design survey, education materials about digging into the ground, emergency contacts, and reports and forms. The CBYD website will be undergoing a facelift to an all new format that will make the site more user friendly. 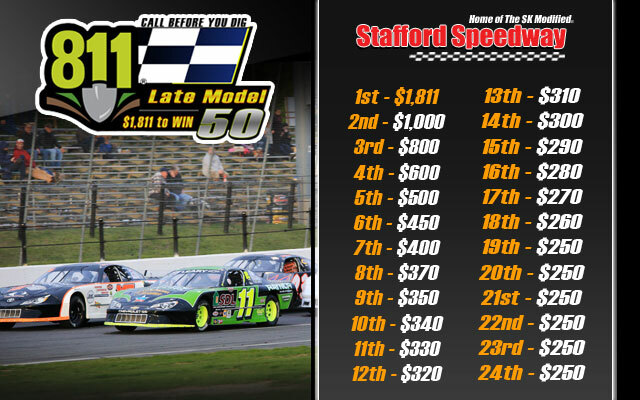 For more information on the CBYD Late Model 50 contact the Stafford Motor Speedway track office at 860-684-2783 or visit us on the web at www.staffordspeedway.com.